Derek introduced me to this small company named Altra in February of this year, which was just around the time we started RunningPoint. He has been following the Altra Adam since they were first announced and he contacted them to get some samples. 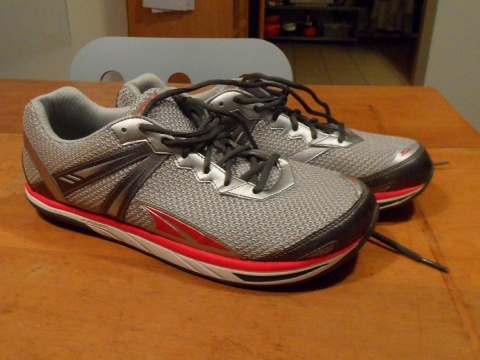 I asked Derek if he could mention that I wanted the Altra Instinct because at the time, I was running in the Invisible Shoe huaraches and I longed for something that was more of a traditional shoe. I really wanted something with more protection, but not something that might mess up my running form. The Instincts sound perfect for that. They are quite different from any running shoe that I have owned before and my first impressions are very positive. I haven’t run this easily and well for a long time. 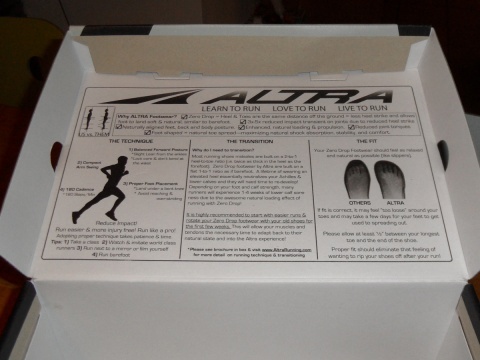 The shoe comes in a rather pretty box with the same educative graphic as the Altra Adam. I showed it to some of my co-workers and friends, and they were easily convinced that it’s a correct way to run. I obviously didn’t need any convincing. The shoes come with two types of insole, the support and strengthen footbed. The support footbed felt very odd and bumpy to me so I removed it in favor of the strengthen footbed which is flat without any support. It felt so much better for me, but I can imagine that people transitioning to zero drop and minimal support would feel more comfortable with the support footbed. This shoe has a very in-between feeling for me since it’s not an entirely minimal shoe. The sole is not flexible which is a definite requirement in my eyes to be a minimal shoe. It has all the other things a minimal shoe should have such as being zero drop, a wide toebox and it is fairly light (9 oz). It has an extremely wide toebox allowing the foot to be completely free. The way the Instincts are laced made it feel like the forefoot has complete freedom, even more than in any of my other shoes. It felt very refreshing and freeing and you could really notice it while running. The box says “Proper fit should eliminate that feeling of wanting to rip your shoes off after your run” and it’s right, I forgot to take my shoes after my run. The comfort is not just due to the roomy toebox though, the lacing is the best that I have ever seen. I am very impressed at how comfortable it felt. 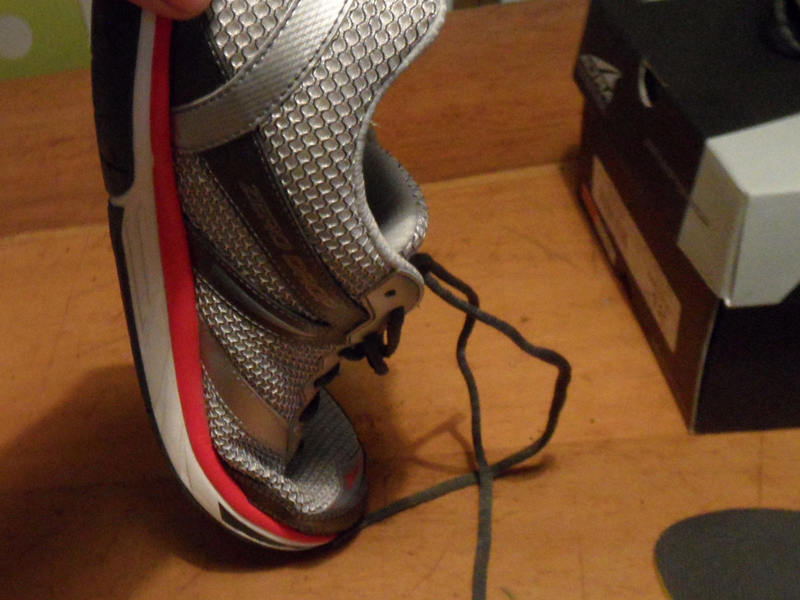 It might have to do with the whole form of the shoe but it felt snug yet never tight or restricting. The first time I ran in them I wasn’t really sure what to expect. I usually can predict how the shoe will feel from seeing them and then walking around in them enough to give an indication on what the ground feel will be, but I couldn’t really predict it with this shoe. The first surprise is how well ventilated the upper mesh is. I stepped outside and felt the chilly wind going right through the shoes which I didn’t expect at all. After about ten minutes of running, everything was warmed up sufficiently to increase my pace and to see how these shoes would perform. The amazing thing about these shoes is that despite being not very flexible, they manage to somehow give me the feeling that I am running barefoot (which is odd if you think about it). These shoes are not that minimal. The sole is quite thick and inflexible which gives some support when you run, yet at the same time your feet, especially the forefoot, feel so free to move around that it feels like you are running nearly barefoot. 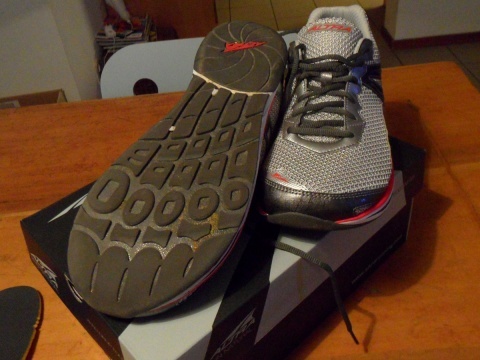 The ground feel is very minimal due to the thick sole but it is very responsive and any contact with the ground is felt immediately, which in my personal opinion is way more important in a running shoe. I think these would work well in most trail runs even though it is a road shoe. The grip seemed very good on the more sandy/muddy paths around here. I am very pleasantly surprised with these shoes and I think they even made me rethink the way I approach running shoes in general. I have looked for the most minimal shoes lately and I love some of them, however when I run in my more minimal shoes I will be sore the next few days. The Instincts are more forgiving, which is something I am not used to. The Instinct manages to promote the right running form and still be supportive in a way that’s unique as far as I have seen. I am very glad I asked to try these out and will definitely write a longer follow-up on this once I have done some miles in them.